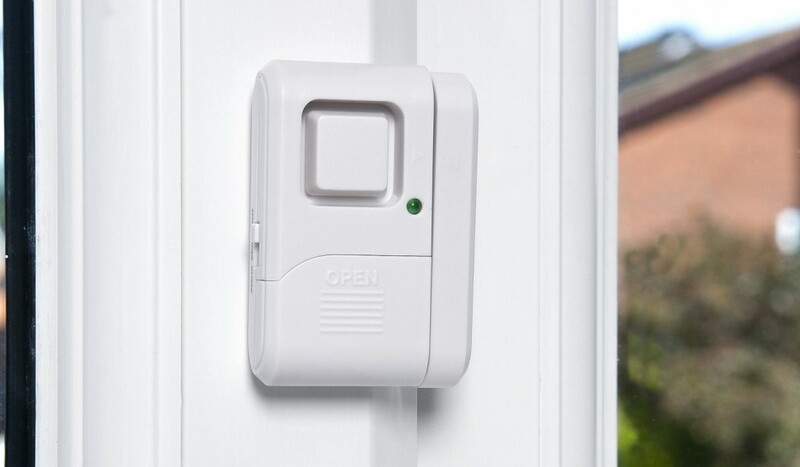 Defender home alarms are small, battery operated alarms for use around the home or workplace, operating through PIR detection, magnetic contact or a combination of both. 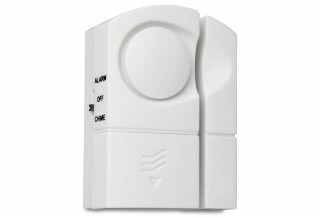 Alarms all have powerful built-in sirens, are easy to install and operate and are supplied complete with batteries. 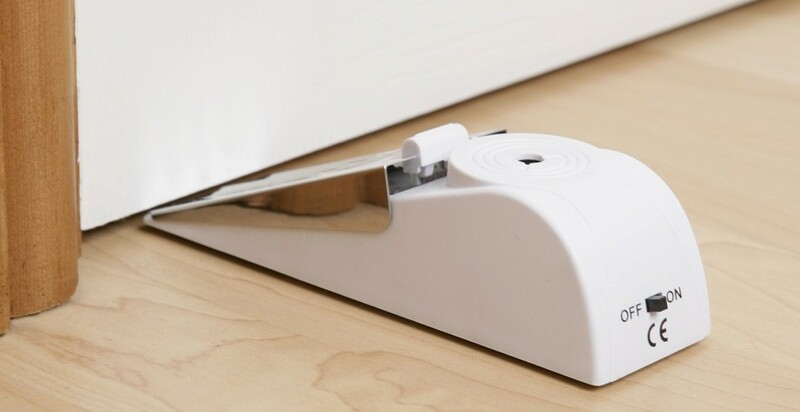 Ideal for providing extra security on hotel doors or combatting sneak in burglars at home, the Defender Door Wedge Alarms 120dB siren activates when someone tries to push the door open. 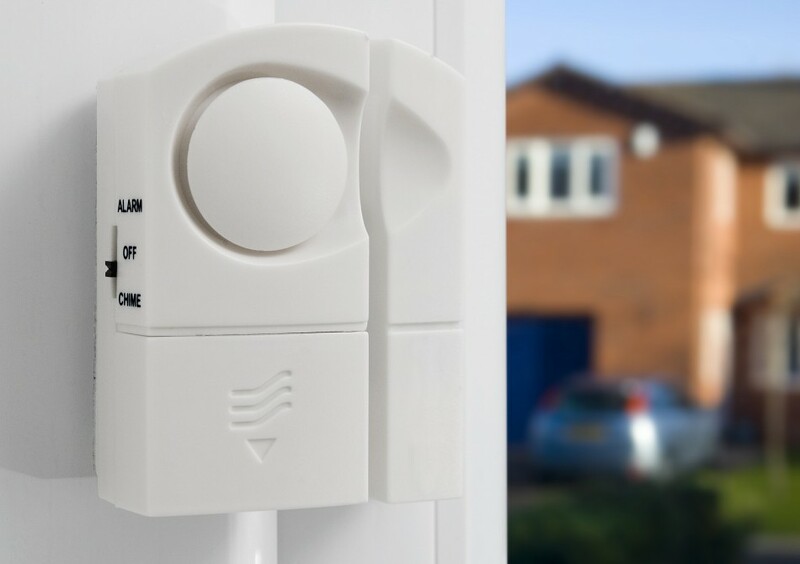 In hot weather the alarm can allow doors to be left ajar to ventilate rooms whilst still maintaining a degree of security (indoor use only). 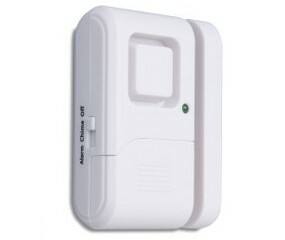 Small, discreet alarm which can be used to protect doors and windows. 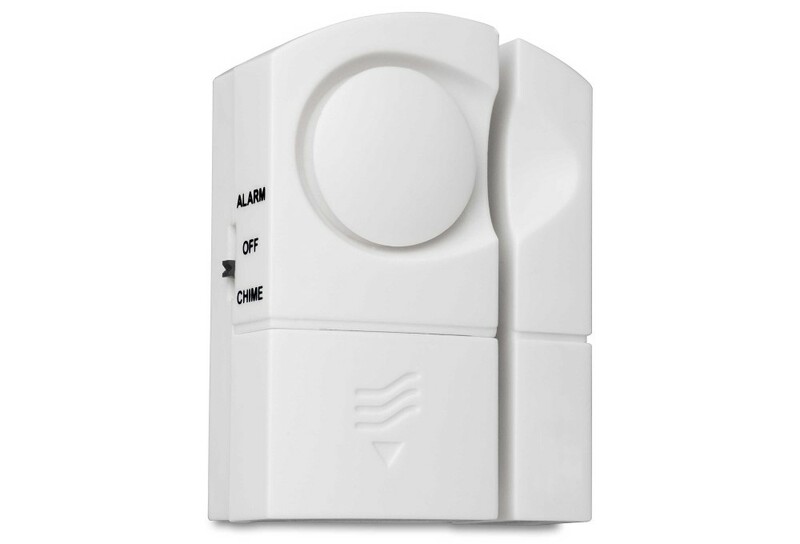 Easily switched so that when a door is opened, the magnetic ﬁeld breaks, and the unit sounds either a welcoming chime to announce visitors or a loud 120dB siren, to deter intruders (indoor use only). Features a low battery indicator. 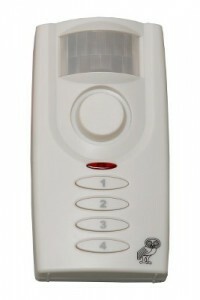 A small door contact alarm, which can be used on windows or doors to welcome visitors or to shock and deter intruders. 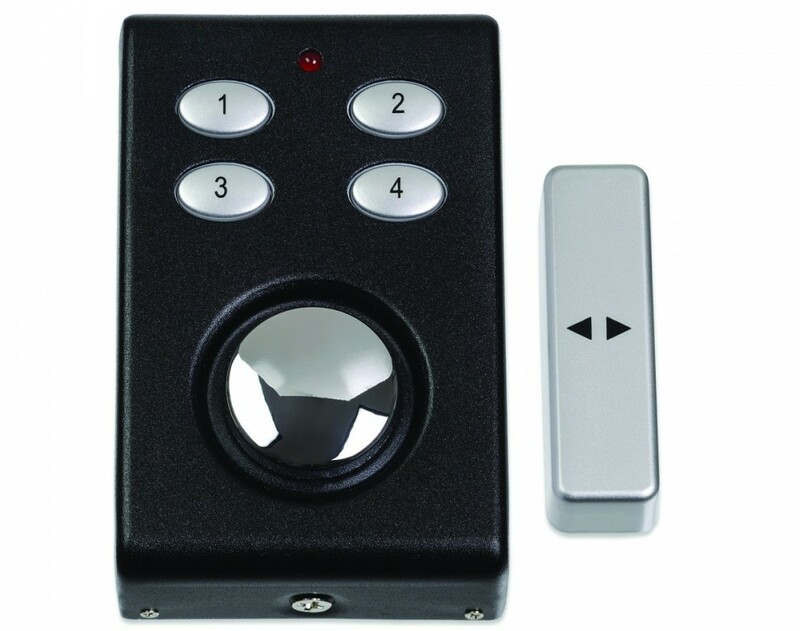 Once the door or window is opened and the magnetic field breaks, the unit sounds either a welcoming chime or powerful 110dBs siren (indoor use only). 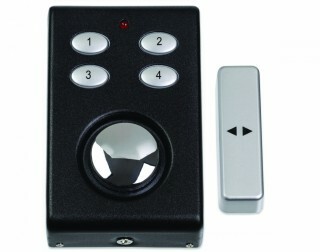 A powerful 130dBs dual function window or door alarm that is triggered when vibration is detected, or when a door or window is opened and the contacts are separated (vibration setting can be disabled if preferred). 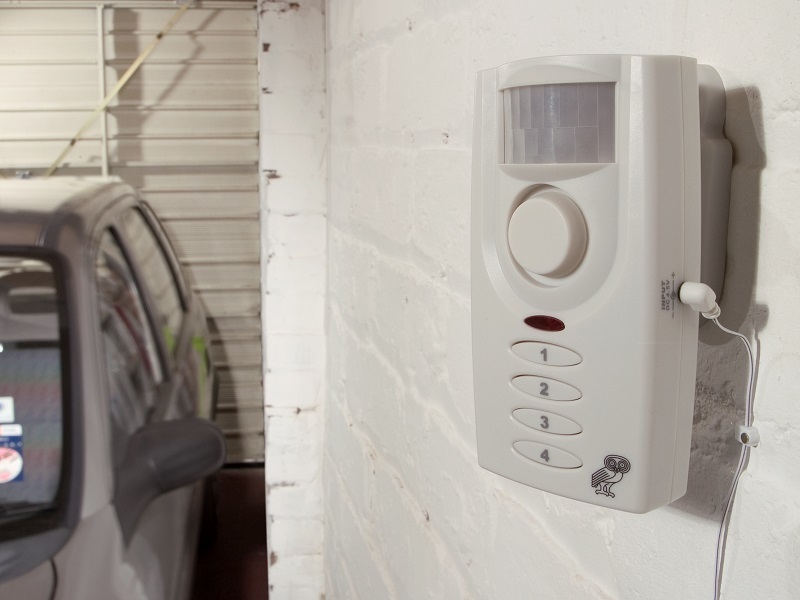 The alarm is armed/disarmed by entering a 4 digit code, and is easy to install. 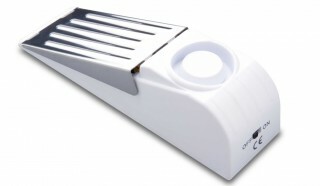 The unit also features a built-in mini solar panel that can extend battery life by up to 18 months (indoor use only). 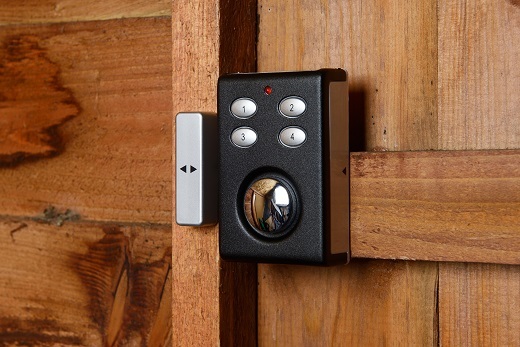 Combining the benefit of a PIR sensor with a magnetic contact trigger the PIR alarm unit is perfect for securing external buildings or rooms within an office or house. Also featuring a powerful, built-in 130dB siren, the unit is armed/disarmed using a four-digit code. An entry and exit delay can also be programmed to allow time to get in or out of the room before the unit is armed.